... and another COCO Version with Dark Eyebrows will arrive soon !!! Visit Apparence Skins & Shapes and find LISA. She is hidden in a cloth hanger somewhere in the store! Good Luck !! 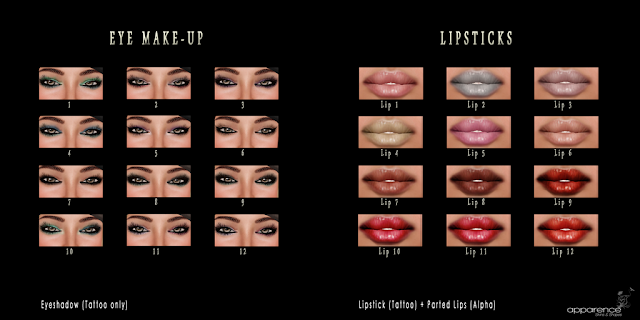 Gorgeous, sensual, beautiful.... available in 3 different skin tones and 13 make-up`s + a very pure skin!! Here you can see just a few examples... come and try the demo !! I personally felt in love with ELISA!! 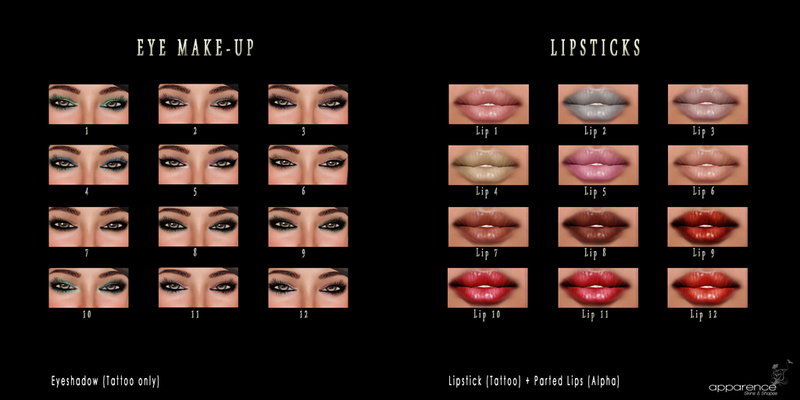 I am very proud to present you my new Skinlines 2012. I will introduce them to you one after another within the next days here on this blogpage !! Stay connected ! !